The government in many countries have implemented VAT across the state, since 01 January 2018. Amidst government’s this endeavor to generate revenue for the state, businesses are mulling over hiring tax agents, who are qualified and can help in ensuring compliance with the new tax policy. The VAT implementation across many of the states in the world leaves many businesses in the doldrums. Both SMEs, as well as Large Enterprises, are finding diverse ways to ensure complete compliance with the government’s new tax regulation. Many individuals view it as an opportunity to become a tax agent and many of the businesses, across the country, are seriously considering about hiring them to manage accounts and finance. But, the big question is – Can such traditional methods can help companies in the robust management of accounts and finance, in this unprecedented and competitive business environment? A certain answer to this question is – NO. The reason being that when accounting tasks are performed manually by tax agents, it can lead to following problems. Ineffective Decision-Making and so on. Therefore, it would be rather wise to adopt a technological solution such as Value Creation Automation (VCA) accounting software, which is designed to enhance financial accuracy and efficiency. In addition, VCA also enables in adding to the flexibility of performing diverse financial operations in comparatively less time, from anywhere and anytime. One of the most affordable accounting software, VCA comes with a set of benefits, which can together help in building a robust accounting and finance system. With this, companies cannot only comply with new VAT regulations but can also show a clear picture of business finance to employees, managers, investors, creditors, customers, suppliers and other various stakeholders, gaining their confidence. 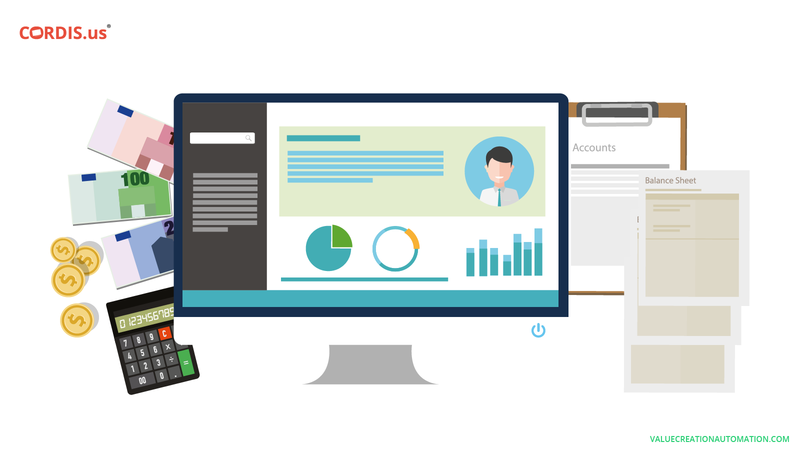 Many businesses, especially small businesses, might not be aware that now they can resort to technological solutions to manage entire business accounts and finance. Gone are the days, when ERP software required huge investments along with the need to sign a long-term contract with the vendor. Incorporating the Software-as-a-Service (SaaS) technology, accounting software such as VCA can support even Small and Medium businesses in complying with the VAT. Reaping technology benefits is not a big deal in the continuously evolving business environment of the contemporary world. Accounting software such as VCA, help even small businesses in harnessing complete gains of technology. Let’s look at benefits that SaaS-enabled VCA accounting Software brings in for both SMEs and Large Enterprises. Not Much Capital Investments Required - SaaS-enabled VCA accounting software doesn’t require much capital to start business finance operations. And this is why VCA gives an equal growth opportunity to even small businesses. With no need to invest in the installation of software, hardware, servers, and the IT team, VCA reduces operational costs by up to 50%. Other than this, VCA is a subscription-based accounting software and thus, companies just have to pay for the number of users they have. It means, no more signing of a long-term contract with accounting software ERP vendors. Can Manage Entire Finance Anywhere and Anytime - With VCA accounting software, businesses no more have to maintain accounting and other financial details in Excel and Google spreadsheets. Entire data, statements, and reports pertaining to the business finance is saved in the cloud. Owners and Directors can have instant access to all the financial data anytime and anywhere, through VCA’s visual dashboard. Supported by SaaS, the visual dashboard of VCA keeps every single transaction detail at fingertips of business leaders and therefore, gives an enhanced financial control. Real-Time Transaction Update and Reporting - One of the best features that VCA consists of is that this accounting software is designed to update every single transaction in the real-time. Moreover, it also reports transaction details to business leaders at the same time. This keeps Owners and Directors updated, even when they are traveling. Updated details can be accessed through VCA’s visual dashboard, through mobile phones and tablets, anytime and anywhere. Can Perform Diverse Financial Operations 24 x 7 – With an advanced accounting software such Value Creation Automation (VCA), businesses can enhance the flexibility, agility, and reliability of the entire finance process. Finance executives can collect payments from customers, suppliers and generate VAT compliant invoices to them even when they are on the go. In addition to this, they can even plan the budget and update ledger books round the clock, anywhere and anytime. In short, VCA bookkeeping software makes businesses available for customers round the clock. Automation Enhances Accuracy & Efficiency in the Process – With VCA, businesses do not have to perform any of the accounting tasks manually. Entire day-to-day financial tasks are successfully automated with VCA. Reduced human intervention means minimum errors and optimum accuracy in the overall financial performance. Integrated Business Financial Performance - The ability to integrate entire business finance makes VCA accounting software unique. It gives an enhanced visibility of the entire finance and accounting process. Businesses leaders have a clear picture of entire financial performance, which can boost their decision-making ability. Other than this, VCA also keeps data, statements and other various financial reports ready for the reference of Owners and Directors. It would not only help in presenting a clear financial picture to various business stakeholders but also in closing the accounts without any complications. Offering better financial insights, VCA supports business leaders in mitigating all sorts of risks and leading companies to constant growth and success. 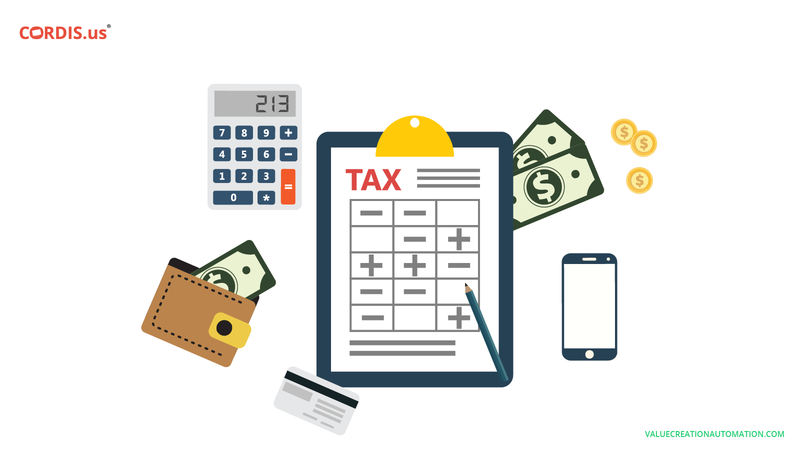 With all the above-discussed factors, it can be easily understood that hiring a tax agent to manage company accounts and finance would not be a wise decision to make. 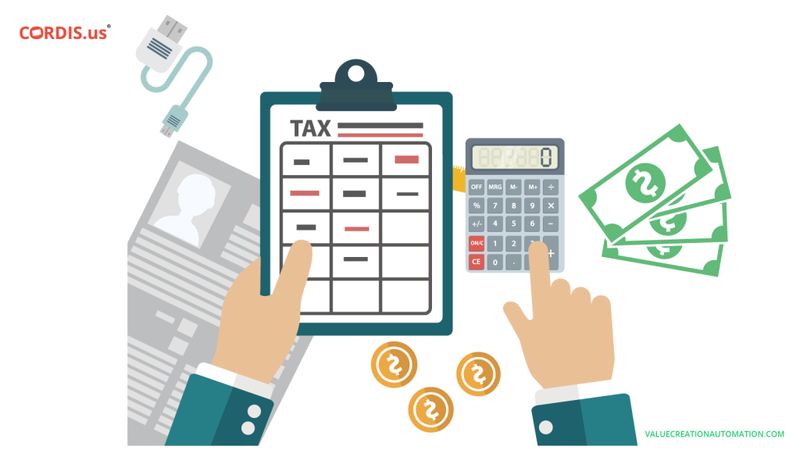 Although, companies do not have to pay for the increased costs, as a result of VAT implementation, but, businesses prepare to act as a ‘tax agent for the government,’ nothing better than the advanced ERP software such as Value Creation Automation (VCA) can help in performing the job more efficiently and accurately. Businesses have always unveiled new growth dimensions with evolving technologies. Competition is getting steep and various instruments such as the Internet, smartphones and the diverse social media platforms have technologically empowered customers and keeps them well-informed. Therefore, it becomes paramount for businesses to make the finance and accounting process robust and transparent — not only to comply with government’s VAT policy, but also to gain complete competitive advantages.